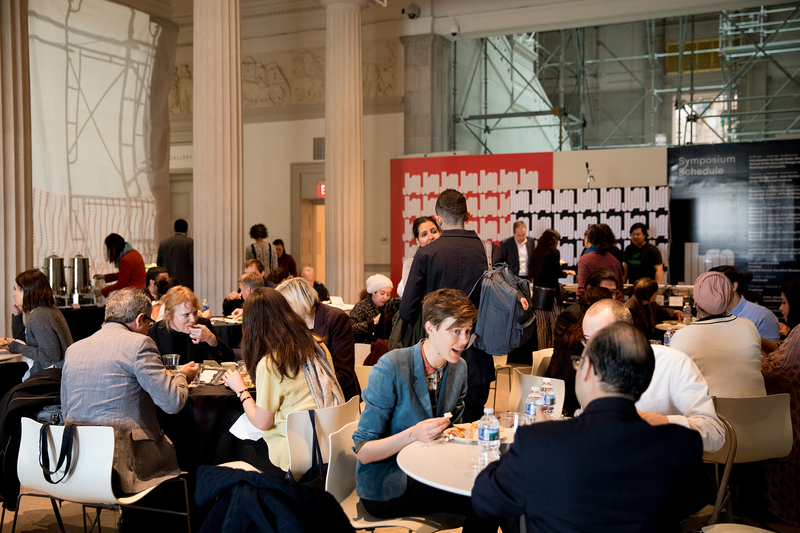 On December 4, 2017, the Corcoran School of the Arts and Design hosted “Wisal: A Symposium on Cross-Cultural Collaboration,” a one-day event examining the concept of collaboration and how it exists in cultural practice in Saudi Arabia and beyond. Read more about the event on GW Today. The day featured panel discussions with artists and educators that looked at the transformative ways art and creativity can spur cross-cultural understanding and effect meaningful change in communities. The symposium was co-sponsored by King Abdulaziz Center for World Culture (Ithra). Highlights included William Wilson Corcoran Visiting Professor of Community Engagement Joseph Kunkel’s exploration of design as a means for social change in marginalized communities, and a panel of three artists from around the world discussing art for social interventions. With speakers from Saudi Arabia, London, San Francisco, and beyond, topics included grassroots initiatives, transnational collaborations and using creativity as a catalyst for cross-cultural understanding. Participants explored creative brainstorming through the Ghana Think Tank model of problem-solving, led by the think tank leaders, Assistant Professor of Sculpture & Spatial Practices Maria del Carmen Montoya and Asad Ali Jafri. Other breakouts explored the topic of reviving communities with panelists Abdulrahman Gazzaz and Anne Senstad. The second half of the afternoon was spent enjoying a delicious lunch was provided by Foodhini, an organization that creates authentic multicultural meals, crafted by emerging immigrant chefs. That was followed by panelists discussing the role of educational institutions in collaboration, a conversation with Sanjit Sethi and Noor Daham, and a closing reception.